The kitchen is a very special room in any house—a hub of sustenance and family interaction. It is widely agreed upon that preparing food can be a very therapeutic exercise, and across cultures the sharing of meals have the foundation of human socialisation. For these reasons, it is of utmost importance to create a functional space in the kitchen in order to get the most out of it. This is not to say that aesthetics need to be sacrificed for the sake of practicality and usefulness, as there are many strategies and products promoting kitchen utility without renouncing attractiveness. After all, our surroundings have a tremendous impact on our state of mind, and what use is it having a functionally optimised kitchen with no motivation to function within it? Let's look at some ways to make the best out of kitchen space whilst keeping it pleasing to the eye. There is a revival in the popularity of wood furnishings in the home, and rightly so—it is a durable and versatile finish. Using wood for kitchen counter tops is a sensible move. A well-treated and strong wooden counter top will last for a long time with minimal maintenance. The right choice of wood can also contribute an enduring sense of style. It can be an especially valuable design element when the wood contrasts to perimeter cabinets and walls, creating a complimentary colour scheme and adding interest in the overall design scheme. This will be particularly useful in neutral colour schemes and predominantly white kitchens. That being said, light-coloured wood can bring an interesting variance in darkly coloured designs. When it comes to addressing the dilemma of sufficient kitchen storage, why not go vertical? 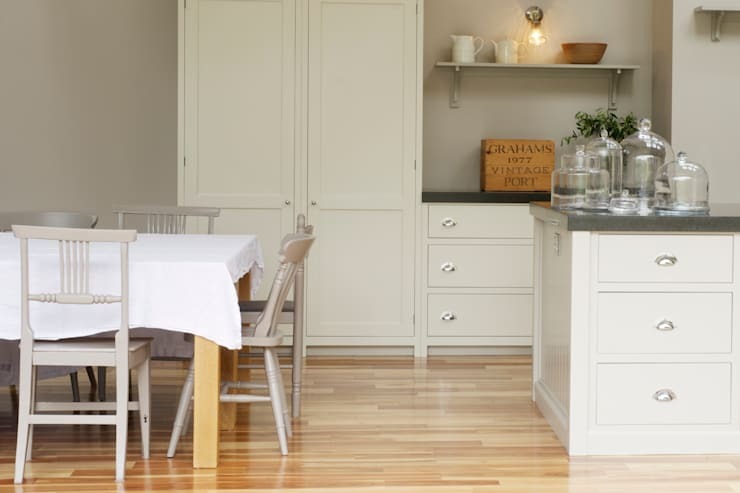 Kitchen cabinets and drawers can be invaluable for optimal storage, but when there is limited floor space to work with, it is useful to go onwards and upwards. 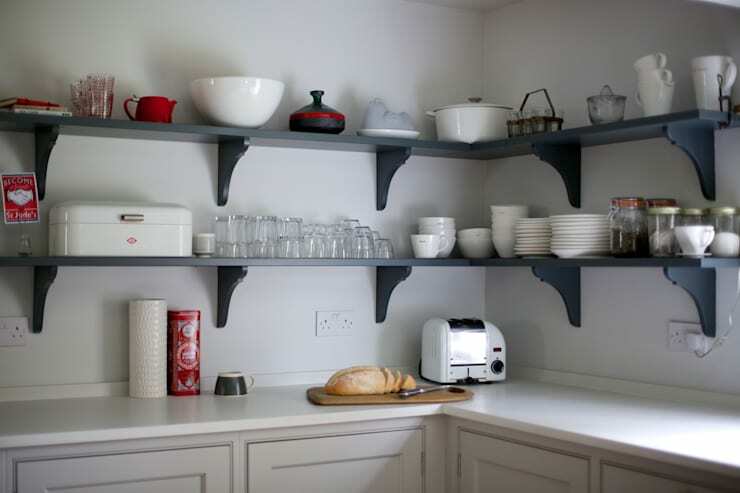 Shelves have a dual functionality—it creates storage space in an area which would otherwise have remained unoccupied, and it provides easy access by means of visibility. No longer will that favourite dish get lost in the black hole of kitchen cabinets! This will also discourage clutter, which would be unsightly on open shelves. This fixture can be embellished with finishes fitting to the overall colour scheme or theme of the kitchen, rendering its possibilities as aesthetic as it is strategic. It can be used to create colour contrast, or alternatively, to continue a certain element found elsewhere in the kitchen design and so create unity. Wood laminates are amongst the most durable and ergonomic flooring options available. This is good news when furnishing the kitchen, since it can be a high traffic zone and take a lot of wear. Meal preparation can also require long periods of standing in the space, and an ergonomic floor will go a long way in making this a more comfortable experience. Laminates are easy to install and do not require any solvents or fastening. It can expand and contract according to environmental conditions, is water-resistant, and can be topped with realistic photographic prints. These will be high-definition prints of natural hardwood, sealed with a heavy-duty coating. Lastly, laminates require no treatments to remain looking as clean as when first installed! When it comes to flooring, we have found the ultimate all-rounder. A well-lit kitchen will deliver the best results. Careful consideration should be given to this part of kitchen planning, as it will not only affect the functionality of the space, but also its ambiance. Diffuse lighting will create a larger lighted area as opposed to a single, central light source. As seen in the above picture, diffuse lighting also provides to opportunity to bring rhythm into the kitchen ensemble, leading the eye through the space and unifying varied features. Warm lighting is essential. Although a functional kitchen needs to be lit very well in order to effectively execute cooking tasks, it does not have to create a clinical atmosphere. White light can be very cold and impersonal. Warm light can be relaxed and inviting—exactly what a family kitchen requires! In choosing appliances for a functional kitchen, continuity is key. Large kitchen appliances like refrigerators, ovens and dishwashers can be seamlessly integrated into the cabinet design and colour scheme. 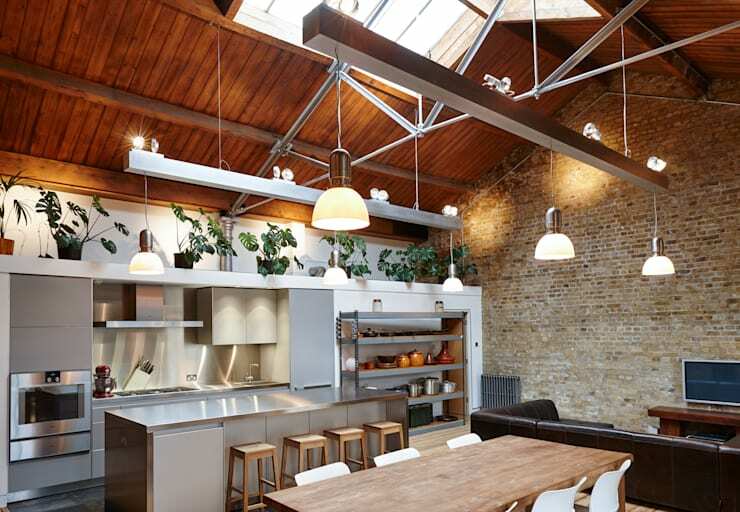 This streamlines the kitchen design, opening up more working space. It is also an important contributor to the success of the room's colour scheme. If the appliances suit the colour palette used throughout the kitchen, a harmonious effect will be produced which is aesthetically and affectively pleasing. 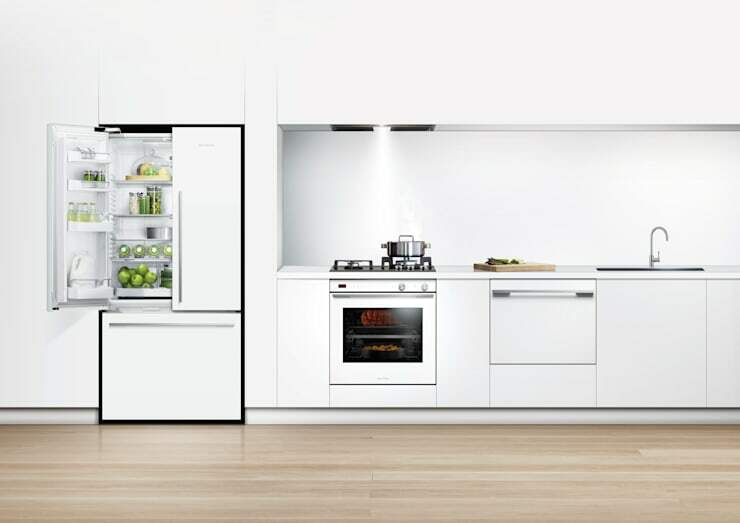 Another benefit of integrating such appliances into the kitchen structure is a cleaner design—no more heavy-lifting to clean behind the stove or under the fridge. 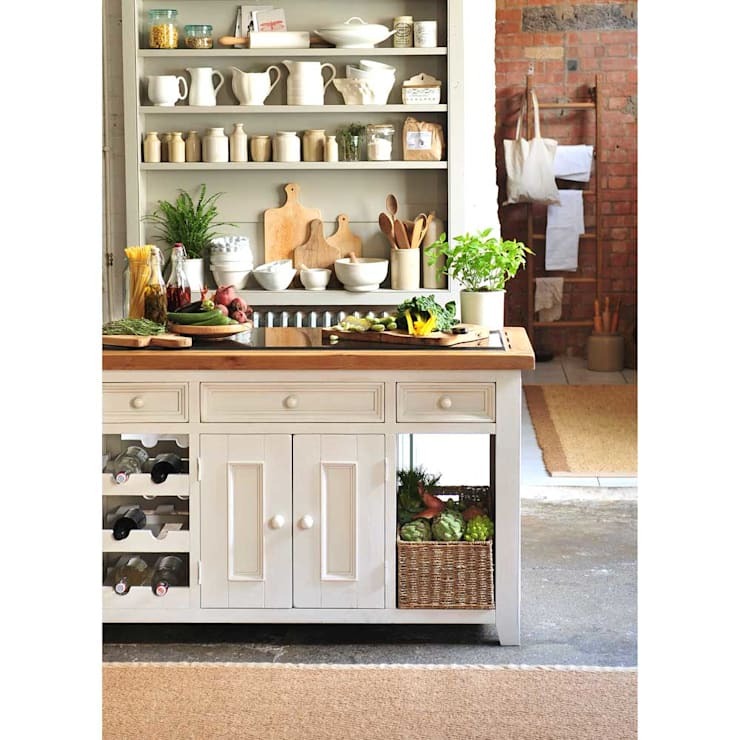 Kitchen accessories are the golden opportunity to personalise a functional kitchen. While other elements may be chosen for versatility and durability, accessories can express personality and individual tastes. 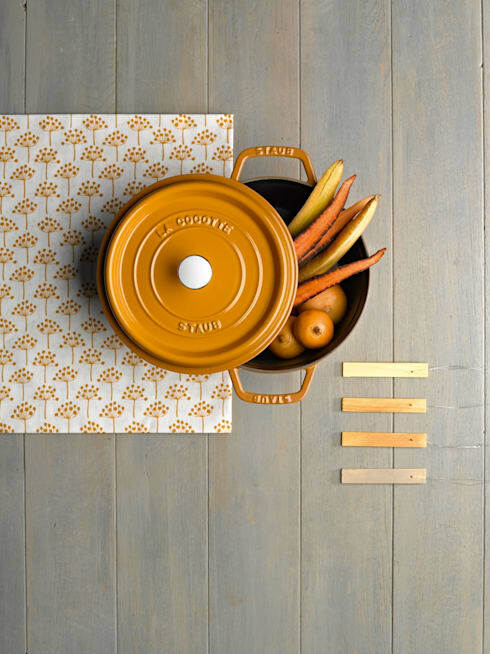 Colours can be used boldly in kitchen accessories. 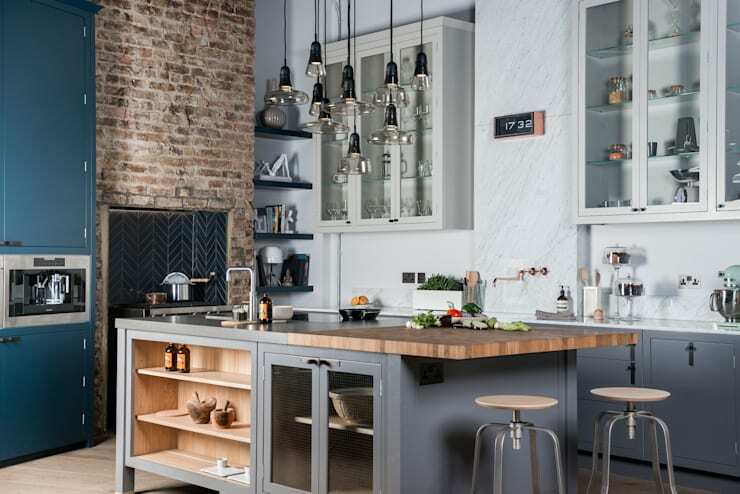 Whilst larger structural elements of the kitchen are usually kept fairly neutral, accessories are more transient and can for this reason be chosen according to current trends. Keeping this in mind, it will be beneficial to put some thought into a versatile staple of durable, high-quality accessories that will always be needed, and which can be supplemented by more occasion-specific trimmings as required. The ultimate function of a kitchen is to prepare and produce meals for consumption. It can be as functionally planned and equipped as possible, but without ingredients, completely futile. Creating spaces in the kitchen to grow and maintain herbs and other edible plants is not only very useful, but also sustainable. Vertical planters or wall-mounted pots are good choices, but it can be as simple as clearing space on your windowsill. Whatever the aspirations for a specific kitchen space may be, functionality will always be a requisite. If the above features are considered carefully, prime utility can be achieved without forgoing beauty. For more kitchen considerations, take a look at this ideabook: Inspirational kitchen ideas. Do you have any functional kitchen ideas? Be sure to let us know in the comments.